It is the summer season and within a month, the weather is scorching hot. The weather is reaching extreme temperatures day by day and with it comes a set of other skin problems. 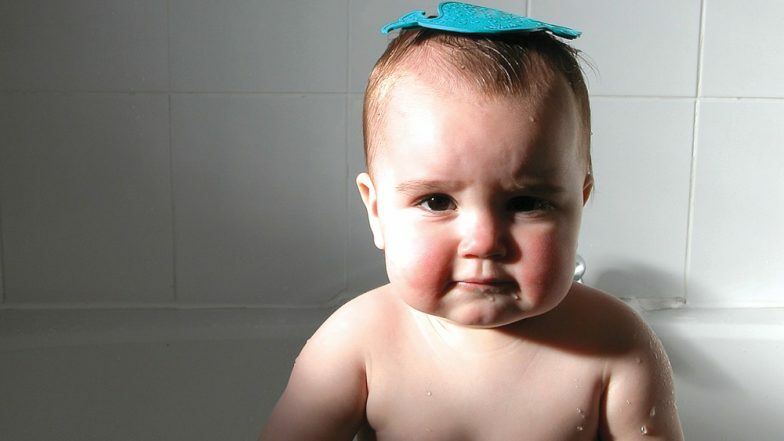 Just as adults sweat in the heat, babies experience equal irritation. The summer weather can cause body rashes on the skin of the babies. So we give you some summer skin care tips, especially for babies. Summer is here, which means that your baby's tender skin requires extra care and nourishment. Summer Skin Care Tips: Follow This Routine For a Radiant Skin Everyday in Summer Heat. As a new parent, it is natural to be confused about how to take care of your baby's skin during summer as the weather can bring about several skin problems. While these can cause discomfort, you can minimise them by incorporating a routine-led skin care regimen for your baby. "The soaring temperature often causes irritation and discomfort to babies. Some common problems during summer are heat rashes, diaper rashes, dry skin and prickly heat. As a baby's skin is thin and delicate, sweat can lead to clogged pores, further resulting in these problems. To reduce any kind of discomfort and to keep your baby cool, use doctor recommended products that are enriched with natural ingredients and keep the skin well-hydrated, moisturised, and nourished always," says Dr. Subhashini. N.S., Ayurveda Expert, R&D, The Himalaya Drug Company. Hair and Beauty Trends for the Summer Bride. Refresh the skin with a bath: Bathing is the best way to remove sweat and keep the skin clean. Use lukewarm water and avoid hot water. You can also opt for a refreshing baby wash and soap infused with herb extracts like Neem, which helps protect baby's skin, and Watermelon which helps keep baby's skin cool and fresh. Kangaroo Mother Care: How Skin-to-Skin Contact With the Mother Can Improve Babies’ Health. Soothe the skin with a lotion: You can opt for a calamine-based lotion with natural ingredients like Aloe Vera, Nutgrass Oil, and Mustard Oil. Aloe Vera helps moisturize the skin, Nutgrass Oil helps soothe rashes, and Mustard Oil helps reduce itching. Keep prickly heat at bay: To relieve your baby of prickly heat, it is advisable to use a prickly heat baby powder. It helps in soothing the skin and keeping it dry. A slight dab of prickly heat powder with natural ingredients like Neem helps relieve itching and soothes the skin, and Vetiver helps cool your baby's skin. Use a diaper rash cream: Changing the diaper frequently during summer helps keep the skin fresh and avoid diaper rashes. Additionally, choose a diaper rash cream containing Almond Oil and Yashada Bhasma. Almond Oil works as a moisturiser and Yashada Bhasma helps reduce skin inflammation and heals rashes. Use baby wipes for a quick cleanup: Baby wipes are ideal to freshen up baby anywhere and anytime. You can opt for extra-large wipes with Indian Lotus and Aloe Vera, which are convenient to cleanse baby's skin. Indian Lotus helps keep the skin supple and Aloe Vera moisturises the skin. Keeping your baby comfortable during summer is key to enjoying the season. Choose light cotton and linen fabrics to dress your baby and pick a diaper of the right size to prevent diaper rashes. Overall, use natural products that are free from parabens, phthalates, alcohol, and mineral oils, which are safe and gentle on baby's skin. The above tips will ensure that your baby to beat the summer heat. (With IANS Inputs).